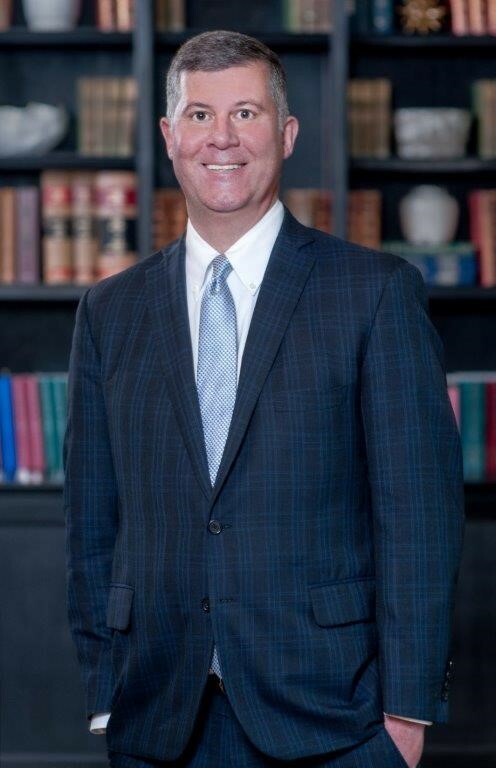 David Bienvenu is a founding member in our firm and practices in the area of general litigation with an emphasis on toxic tort, mass tort, environmental and product liability litigation in both federal and state court. David has defended Fortune 500 companies and other valued clients in litigation related to asbestos premises liability, silica premises liability, occupational hearing loss, groundwater contamination, product liability and toxic releases in the environment and workplace. David’s area of expertise also extends to the creative defense of class action and other complex litigation that has involved his participation as trial counsel and appellate counsel in cases as diverse as civil rights litigation, toxic tort litigation, commercial litigation and insurance coverage litigation. David is highly respected for his aggressive and creative litigation strategies and has managed hundreds of individual cases and class actions in his twenty years of experience. David is listed in the Best Lawyers in America and Super Lawyers. He is a frequent lecturer on issues of complex and mass tort litigation for the Louisiana Association of Defense Counsel, the Louisiana State Bar Association, the LSU Law School. In 2012, David spoke at the Harvard Medical School on the topic of asbestos related disease. Betty Bello v. Dow Chemical, Louisiana State Court, August, 2010. Lead trial counsel for Dow Chemical in a premises asbestos case. The decedent plaintiff claimed that her peritoneal mesothelioma was caused by take home exposure from Dow's Louisiana facility. Complete defense verdict. The Court found that plaintiff had failed to prove causation and that plaintiff's disease was idiopathic. This result is one of the few asbestos premises liability cases tried successfully to final verdict in Louisiana. Alvin Hebert v. Dow Chemical, Louisiana State Court, November, 1991. Lead trial counsel for Dow Chemical in a premises asbestos case. The plaintiff claimed that his pleural mesothelioma was caused by exposure as a contractor millwright at Dow’s Louisiana facility between 1960 and 1975. Plaintiffs requested $30 million in damages from jury and were awarded $265,000 on a strict liability finding with no finding of negligence on the part of Dow. Judgment was vacated on appeal and the case was settled favorably. Has actively represented Fortune 500 clients in asbestos litigation for sixteen years and has managed hundreds of cases with a combination of trial results, summary judgments, dismissals and reasonable settlements. Recently served as trial counsel for a major chemical manufacturing company in a seven week trial defending claims involving groundwater contamination, property damage, environmental remediation and punitive damages totaling over $266 million. The trial was in the 18th Judicial District Court, Parish of Iberville, State of Louisiana. National coordinating and trial counsel for Fortune 500 pool chlorine product liability litigation, including court appearances and argument in Louisiana, Maryland, Pennsylvania, Mississippi, Virginia and New Jersey. In September of 2010, successfully argued Howard v. Union Carbide Corporation before the Louisiana Supreme Court, a decision that reversed a thirty plaintiff trial flight of chemical exposure awards ranging from $31,000 to $3,500, and reduced the awards to $500 - $100 per plaintiff. This decision is a significant victory for defendants who are sued for de minimus injuries in class action/mass tort suits. Lead counsel in commercial litigation for a Fortune 50 client related to the prosecution of construction disputes, defecting welding practices, deficient quality control procedures in industrial construction, back up battery systems, property damage claims and subrogation product liability actions resulting in highly favorable settlements for the client totaling more than $6 million following aggressive pretrial discovery and motion practice. Lead counsel for major chemical manufacturing companies in defending multiple occupational disease premises liability suits relating to allegations of occupational hearing loss, benzene exposure, vinyl chloride and exposure to other chemicals. Trial and appeal counsel for LSU Athletic Department in Title IX litigation related to the alleged gender discrimination in varsity athletic opportunities for women. Louisiana State University, Paul M. Hebert Law School – 1991. Graduated Order of the Coif . Law Clerk, Chief Judge Frank J. Polozola, United States District Court, Middle District of Louisiana. Partner – Taylor, Porter Brooks and Phillips LLP – 1998-2011. Instructor in Appellate Advocacy – LSU Law School – 1993-2004. Bello v. Anco Insulations Inc. et al., No. 559, 507, 2010 WL 4340019 (La. Dist. Ct., 19th Dist., E. Baton Rouge Parish Oct. 19, 2010). Rando v. Anco Insulations Inc., 2008-1163 (La. 5/22/09), 16 So. 3d 1065. Allbritton v. Int'l Minerals & Chem. Corp., No. CIV.A. 06-0774, 2007 WL 3146249, (W.D. La. Oct. 24, 2007) considered, 2008-1956 (La. 10/31/08), 994 So. 2d 527. Price v. Roy O. Martin Lumber Co., 2004-0227 (La. App. 1 Cir. 4/27/05), 915 So. 2d 816 writ denied, 2005-1390 (La. 1/27/06), 922 So. 2d 543. Hebert v. ANCO Insulation, Inc., 2000-1929 (La. App. 1 Cir. 7/31/02), 835 So. 2d 483 writ denied, 2002-2956 (La. 2/21/03), 837 So. 2d 629 and writ denied, 2002-2959 (La. 2/21/03), 837 So. 2d 629. Martindale Hubbell – AV Rated for over ten years. The Best Lawyers in America – Class Action and Mass Tort – 2006-2011 - youngest attorney selected in Louisiana. The Best Lawyers in America – Mass Tort Litigation / Class Actions – Defendants – 2015. Louisiana Super Lawyers – Class Action and Mass Tort – 2011-2014.